Wonderful for cracked cuticles, dry or chapped skin on fingers, elbows, heels etc. Apply this amazing multi-tasking balm to repair anywhere that skin is cracked, dry, or chapped such as lips, heels, elbows, hands and cuticles. 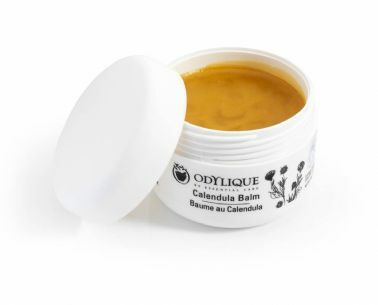 The calendula extract in the ointment is an especially potent supercritical CO2 extraction that captures the purest and fullest benefits of the plant. Can be used on skin prone to psoriasis.